One of the coolest compilations we've ever heard from Ace Records – a really special set that follows in the tradition of their other St Etienne cafe/pub collections – and like those gems, a very different package than usual! 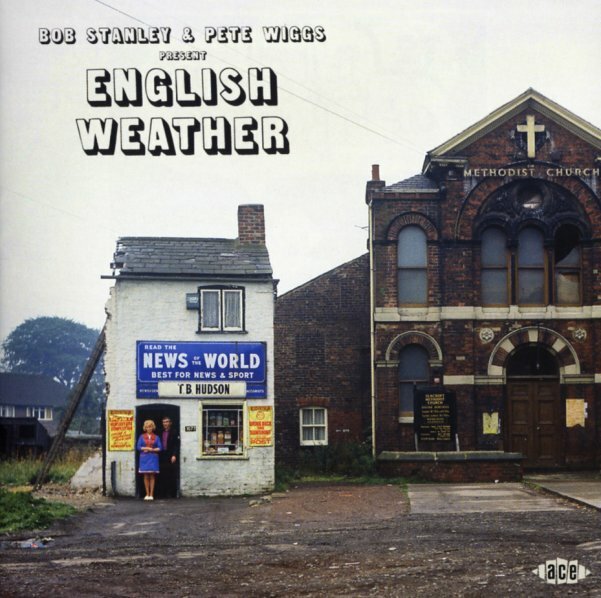 This time around, the duo of Bob Stanley and Pete Wiggs (who you'll also know from the Croydon International label) focus on an overlooked strand of British sounds at the start of the 70s – music that's moody, often jazzy, and almost always touched with a hint of blue – a kind of melancholic moment after the heady 60s – one that takes into stock all the great changes that had happened in the music, but delivers them in this laidback style that's completely unselfconscious. This isn't singer/songwriter material, and it's not progressive either – although it carries light traces of some of the best of those scenes – and if we had to try to dig for a tag for these tracks at all, we might use the term "folk funk" that was bandied about years ago – for cuts that have a vibe that's complex yet personal, and lots of jazziness in the phrasing. Titles include "Last Cloud Home" by The Orange Bicycle, "Love Song With Flute" by Caravan, "Moon Bird" by The Roger Webb Sound, "Early Morning Eyes" by The Peacock Band, "JTL" by T2, "Evening Shade" by Alan Parker & Alan Hawkshaw, "Windfall" by Offspring, "Never Let Go" by Camel, "Bottles" by Belle Gonzalez, "Watching White Stars" by The Way We Live, "Wise Man In Your Heart" by Daevid Allen, "Til The Christ Come Back Home" by Bill Fay, "Pamela" by Scot Mist, and "O Caroline" by Matching Mole – a song which perfectly sums up the mood of the set. © 1996-2019, Dusty Groove, Inc.